Who does not know about the biggest game in the world that is Olympics. Every time more than 100 countries participate in this game and the number gets increased every time. In 2016 total 204 countries had participated in several competitions in Olympics. Olympic game was started in Olympia, Greece to celebrate festivals in 4 years’ interval. At that time it several states and cities used to participate in the games and sports activities. By the time the game has become larger than large and now more than 200 countries compete with each other on several sports like Tennis, Hockey, Athletics, Badminton, Weightlifting, Wrestling, Boxing, Shooting and much more. India was not a part of Olympics till the year 1900. In 1900 for the first time India had participated in Olympics for the first time and won 2 silver medals. At that time only one participant named Norman Pritchard, a male athlete, had taken part in Athletics and won 2 silver medals in 200 meter running competition in Paris. After 20 years of Norman’s Silver win in 1920 again India participated in Olympics but failed to win any of the three medals (Gold, Silver or Bronze). Since then India have been in the competition every time it held. After ’20, it was ’28 when again India won Olympic medal and this time it was a Gold medal. There was a time when Indian Hockey Team used to rule Olympics. Every time they participated in the competition, they brought a Gold medal for the country. Till now India won total 9 Gold medals out of which 8 Gold medals were won by the Indian Hockey Team. The remaining one was brought by an ace shooter Abhinav Bindra in the year 2008. India started its journey in Olympics with 1 participant in the year 1900, namely Norman Pritchard. Now in 2016 the expected number of participants is 120 in which 66 are male participants and 54 are females. Not only the game but also the standard of the sports in India has become higher with passing time. For the first time India had won medals in Olympic was in 1900. As mentioned athlete Norman Pritchard had participated all alone in the 200 meters men’s running competition and won two Silver medals. In 1928 for the first time India won a Gold medal. It was brought by the national Hockey team. After ’28, the national Hockey team from India had won Gold medals 4 times in a row. The Hockey team started winning medals in Olympics since pre-independence era. After independence the number of participants had immensely increased and people from several sports had taken parts in this game. In the year 1952, along with Gold medals by Hockey Team, Khashaba Dadasaheb Jadav won Bronze in Wrestling. Till 1980 it was only the Hockey team that used to bring Olympic medals to our country. In total 26 medals, Indian Hockey team won 11 medals including 8 Gold, 1 Silver and 2 Bronze. In last 116 years, 30 Olympics have taken place and India won 26 medals on different activities. In last Olympic 2012, India won 6 medals which is till now a record for the country. 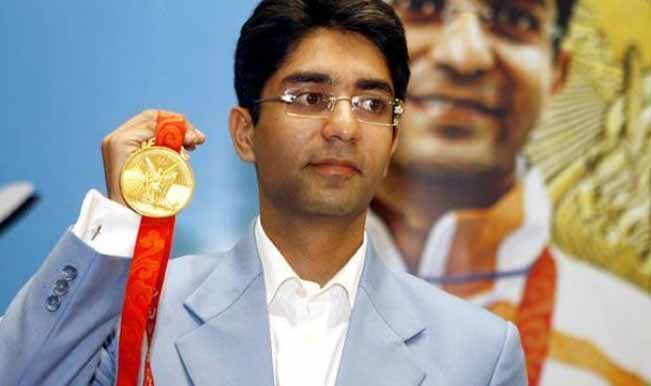 Abhinav Bindra, an ace shooter, who won individual Gold medal in Beijing in the year 2008 needs to get special attention as he is the only individual from the nation to win a Gold medal in last 116 years of Olympics. Some of the leading names in recent times who have participated in the Olympics and won several medals are Saina Nehwal, Sushil Kumar, Vijendra Singh, Mary Kom, Vijay Kumar and so on. In 2016, 120 people will be participated in the game in which 15 participants will be appeared in sports. The nation is looking at them for more medals and more glory that they earn by their talent.